Hong Kong’s richest man, Ka-shing’s storied business prowess spans property, retail and telecommunications. 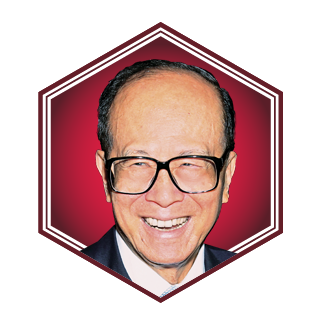 In 2018 he retired at age 89 after serving for decades as the chairman of CK Hutchison Holdings and Hutchison Whampoa. He is a noted philanthropist via his foundation, and is the father of Victor and Richard.